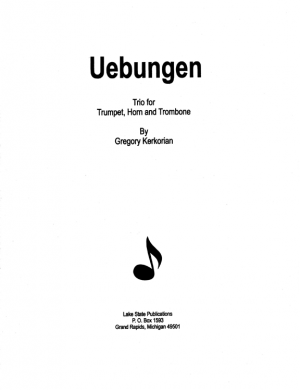 Uebungen is a trio for trumpet, French horn and trombone. Medium difficult 20th century writing. Uebungen is the German word for exercises. Take the stage with this wonderful horn solo that is both heroic and passionate. This romantic blockbuster will inspire and satisfy.